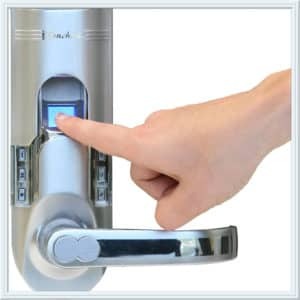 If you are looking for the best door locks that will provide your home real security, you can consider biometric door lock San Diego. We can provide you some form of biometric information wherein you can gain access to your home. Whether you choose fingerprint home security lock or use the other forms of biometrics, we can provide you lots of benefits. Thus, you will have the option to choose as to what kind of biometric lock you prefer for your home that will ensure you of real security. Biometric security is the best way to keep your home provided with real security. There are lots options we can provide you so that you will have peace of mind. All you have to do is to choose the best lock that will suit to your home and we will be the one to install it properly for you. All of these biometric lock can offer you security that is very important for everyone. You will be provided with real biometric technology that is the safest locks available in San Diego. You will have peace of mind and security due to these impressive biometric locks. your keys somewhere else because all you have to do is to scan your fingerprints to open the lock. It will provide you a fast entry and convenience to gain access to your property. Alarming options. If someone tries to enter or break your biometric lock, the alarm from it will make a sound. Computer critter. Most of our products being offered to you can now be connected to any Windows PC. These are more designed to capture high quality fingerprints and can work with some special software from different traditional fingers such as bright ambient conditions like direct sunlight, aged skin, and scarred, wet, and dry fingers. It is best for keeping. Some biometrics are designed to stow small items like firearm, medications, cash and jewelry. 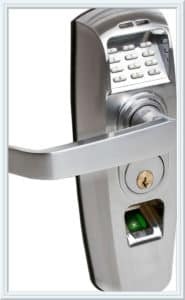 Our biometric door lock can provide you lots of advantages as compared to the traditional locks. Once we have already installed the biometric lock in your door, it will instantly allow you to gain access to your home. All you have to do is to scan the needed characteristics it needs and authenticate it through the use of biometric devices to open your door lock. Here is the list of some advantages that biometric lock can offer you. your homes and for your other belongings. Since the keys can easily be misplaced, with this high technological gadget, you will no longer need some keys. At biometric lock San Diego, key is not required. All you will need is to have biometric data like retina, palm or fingerprints. It can be programmed for different users. Instead of using multiple keys for your home, you can now easily program your biometric security lock for different users. However, it will depend on the specific door lock that you will choose but biometric lock in San Diego can now be programmed with about 10-50 information of users. This only means that you can now easily program your lock so that you and your family members can use it without having any problem. Your door will automatically be locked. One of the great benefits you will have from this kind of system is that, it can automatically lock your door. So when your door closes, it will automatically lock and it will need the data to unlock it again. It is very beneficial for families who have children at home who may forgot to close the door once they leave. 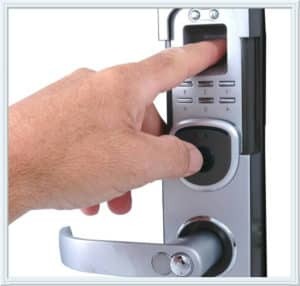 Through this biometric door lock, you can be rest assured that your door is always locked and will increase the security and safety of your home and your family members. It has a back-up battery. Each biometric gadget comes with back up battery that can help you to ensure that your lock is working functionally even if you go out for a while from your home. Easy to use and install. Biometric lock is very easy to use as well as install and can work in all types of doors. It is one of the devices that are easy to programmed and operate in your home or even in your business buildings. It can only be used by those people who have biometric data that are programmed on it. With all the advantages you have for this kind of product, there is no need for you to worry anymore regarding your home security. If you consider it for your everyday use, you will have peace of mind. Biometric locks in San Diego can offer very professional installation services to all of our clients. We can bring you the most latest biometric product and install it in your home properly. We are dedicated to serve you and ensure the safety of your belongings. Since we have been in this industry for a long time, you will have the assurance that you will get the best service that you are looking for. We can provide you the best class of installation services from our master’s installers. Biometric locks San Diego will be your way towards real security.